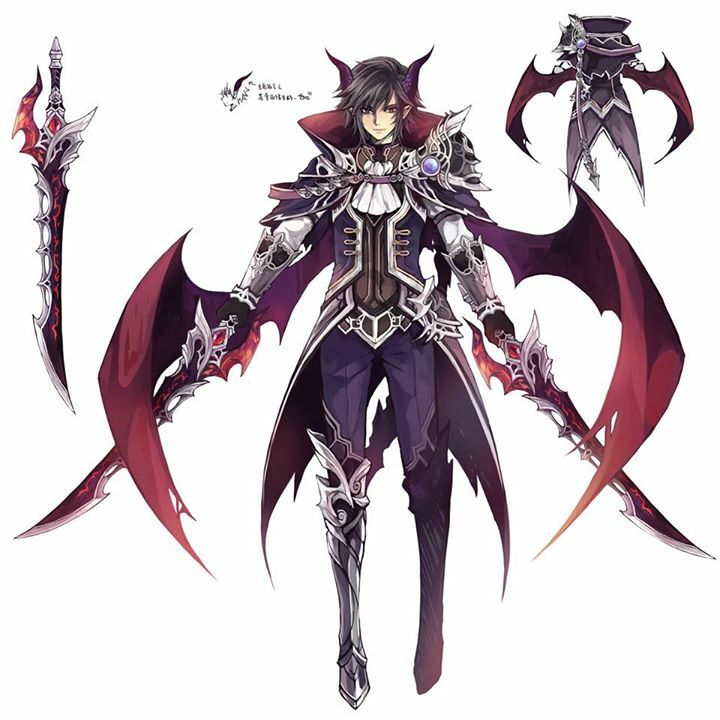 Alucard is a mysterious Eidolon, never before sighted in Terra, Pandemonium, or the Aura Kingdom. He is thought to be a world-walker, and some say his coming heralds calamity for the world. He has a calculating personality and talks down to those he considers lesser beings. Supremely confident in his power, Alucard whips around his dual blades with tremendous force in his debonair 'human' form. However, it is when he assumes his draconian form that he truly crackles with the power to crush all who stand before him - mortals, spirits, and Eidolons alike. Alucard teleports in front of enemies, surprising them with Dark DMG to targets within range. Alucard holds his "Domesday" high up to start a ritual of trial for enemies, dealing massive Dark DMG to targets within the range and increasing DMG of allies nearby. Alucard viciously slashes at his target from every side as though he is several places at once, dealing Dark DMG with additional damage over time.